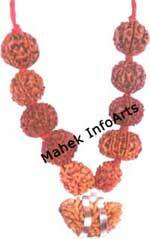 This is one of the most auspicious siddh mala, which has the combination of Shree Yantra and Rudraksh. 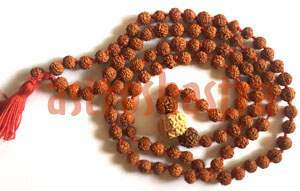 This energised mala has gold plated copper shree yantra in the centre surrounded by two seven mukhi , two One mukhi , two two mukhi, two three Mukhi and two four mukhi with small five mukhi rosary . 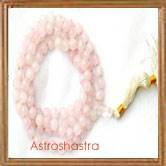 The wearer of the energised mala is blessed with the worldly pleasures and helps one attain perfection in life. It is said that where one faced is worshipped, that place is always full of riches and goddess Lakshmi has special grace on such places. This is the symbol of lord Rudra. 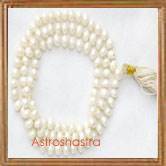 It bestows all prosperity on the devotees. 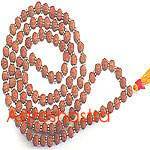 Such a mala is obtained by the grace of Lord Rudra only. Shree Yantra Sacred Geometry - help in clearing all the negative energies - the fog that surrounds our life - standing in our way of Peace , Prosperity and Harmony and make everything work for us in orderly manner and the Rudrasksh beads remove the negativity surrounding us and strengthen our aura.